MEXICO CITY, Sep 22 2014 (IPS) - Compensation for biodiversity loss, which is taking its first steps in Latin America, is criticised by social organisations for “commodifying” nature and failing to remedy the impacts of extractive industries and other activities that destroy natural areas and wildlife. “No market mechanism resolves the underlying problem,” Margarita Flórez, executive director of the Environment and Society Association (AAS), a Colombian non-governmental organisation, told Tierrámerica. “The most serious thing is the environmental liabilities. What should be done about the damage that has already been caused? How do we make sure it’s really compensation and not just remediation? “We keep losing resources and we haven’t been able to curb the loss at all. This mechanism is plagued with contradictions,” she said. Since August 2012 Colombia has had a “manual for the allotment of compensation for the loss of biodiversity”, although it is not yet applied. The manual enables businesses to know precisely where, how and how much to compensate for the ecological impact of their activities. The plan stipulates that compensation must be made in areas that are “ecologically equivalent” to the place that will be damaged, and that it can be carried out in areas listed as a priority by the National Restoration Plan or the National System of Protected Areas. The compensation or “biodiversity offsetting” activities must last as long as the useful life of the mine or other project, and can entail financing to create or strengthen protected areas or conservation agreements with private property owners or indigenous or black communities on collectively-owned land. The manual is to apply to projects or works in the mining, oil, gas and energy industries as well as ports, infrastructure, and new international airports. Excluded are national protected areas, national parks, and biosphere and forestry reserves whose activities depend on special legislation. Compensation for secondary vegetation ranges between 0.01 and 0.02 square km for every square km affected. And in the case of natural ecosystems, it ranges from 0.02 to 0.1 square km for every square km affected. 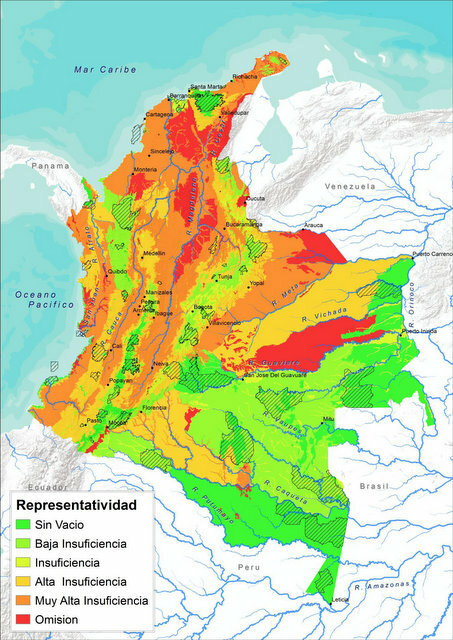 In Colombia there are 55 national protected areas, representing 10 percent of the country’s total territory. Biodiversity offsetting is one of the six Innovative Financial Mechanisms outlined by the Convention on Biological Diversity (CBD), which entered into force in 1993 and has been ratified by 193 countries. The treaty is widely seen as the key document on sustainable development. The other mechanisms are environmental fiscal reform, payments for ecosystem services, green markets, biodiversity in climate change funding, and biodiversity in international development finance. Currently only one-fifth of the signatory countries have biodiversity offsetting mechanisms, and some 45 programmes are in operation, with an investment between 2.4 and 4.0 billion dollars. In Latin America, Argentina, Brazil, Chile, Colombia, Mexico, Peru and Venezuela are the countries with some kind of biodiversity offsetting system, while Ecuador is studying how to implement a mechanism. Chile, for example, is working on the creation of compensation for biodiversity loss, based on new Environmental Evaluation Service regulations that incorporate the guidelines for offsetting, in a country where protected areas cover 19 percent of the territory. In Peru, where 166 natural areas cover 17 percent of the country, the guidelines for the design and application of the Environmental Impact Evaluation System’s Environmental Compensation Plan are being debated. In Mexico, Pedro Álvarez, the head of biological resources and corridors in the National Commission for the Knowledge and Use of Biodiversity (CONABIO), a government agency, sees it as feasible to combine conservation mechanisms with economic production. “If communities learn that biodiversity has value, it becomes a good opportunity to generate hope in the management of natural resources,” he told IPS. “But in order for it to work, public funds must be guaranteed for lengthy periods of time. “In addition, we have to choose the areas with the greatest biodiversity, and prevent it from becoming a situation of ‘if they pay me, I’ll take care of it’,” he said. The 2013-2018 Sectoral Programme on Environment and Natural Resources indicates that 29 percent of Mexican territory has lost natural ecosystems, in a country with 176 natural areas. The National Commission on Protected Natural Areas administers the 176 areas, which cover 13 percent of Mexico’s territory. With the Environmental Compensation Programme for Change of Land Use in Forested Areas, the National Forestry Commission financed 275 projects last year covering 321 square km of land. 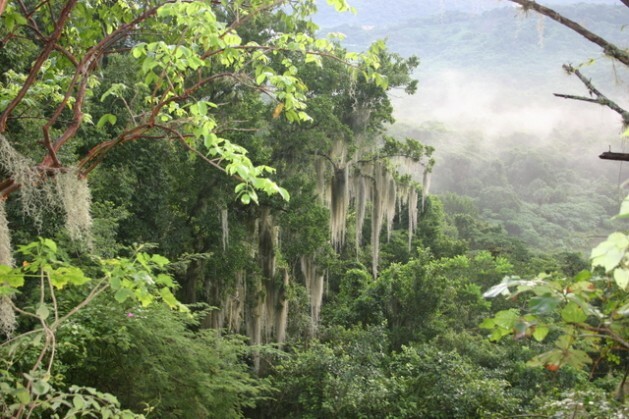 Tremarctos-Colombia, a system that conducts a preliminary assessment screening of the impacts of an infrastructure project on local biodiversity and provides recommendations regarding the compensatory measures a project will have to assume, can be used in the first phase of the project. The manual for establishing the compensation for biodiversity loss will be used in the second stage, and in the third stage monitoring will be carried out to compare it to the baseline and guarantee that there is no net loss of biodiversity. Countries like Brazil, Chile, Colombia, Ecuador and Venezuela suffered biodiversity loss between 1990 and 2008, according to the Inclusive Wealth Index, a study of 20 countries led by the United Nations Environment Programme (UNEP). The campaign argues that biodiversity offsetting will not prevent loss, and will harm communities and separate them from the environment in which they live, where their culture is rooted, and where their economic activities have traditionally taken place. One of the aims of the CBD’s strategy for resource mobilisation is to consider offsetting mechanisms, where they are relevant and appropriate, as long as there are guarantees that they will not be used to weaken the unique components of biodiversity.